Today is Ash Wednesday, on which we celebrate the partial combustibility of plant matter, and begin 40 days* of sacrifice and all-you-can-eat fried seafood. I’ve decided to observe Lent by simplifying my photography. I will use a single lens, forsaking** all others: the smc PENTAX-A 28 mm f/2.8. And though I’m not making a firm commitment, I intend to make and post a photograph with the lens each day of Lent. There is one small problem with starting the project today. I don’t have that lens yet. I just bought it from a fellow PDML member, and it’s not going to be delivered until tomorrow. This leaves me with a photograph to make, and no lenses to use. What to do? I made a pinhole aperture. I have a set of manual extension tubes that consist of a camera-facing K-mount, a set of inserts of different sizes, and a lens-facing K-mount. The parts all thread together. I put a sheet of heavy-duty aluminum foil between the threads of the two mounts, mounted the assembly to the camera, and poked a hole in the foil with a pin. The 0.5-second manual exposure above, at ISO 100, is the result. I inadvertently switched the camera to JPEG mode instead of my usual raw format. Based on Fred Parker’s Ultimate Exposure Computer, I estimate the focal ratio of the pinhole to be about f/90. The image was visible through the viewfinder, though I had to shade my eyes from outside light. I’m not sure what causes the colored streaks when shooting into the sun. My guess would be diffraction around irregularities in the periphery of the pinhole. Very creative. I did some pinhole photography in high school art class using 5x7 paper in an oatmeal can, great fun. 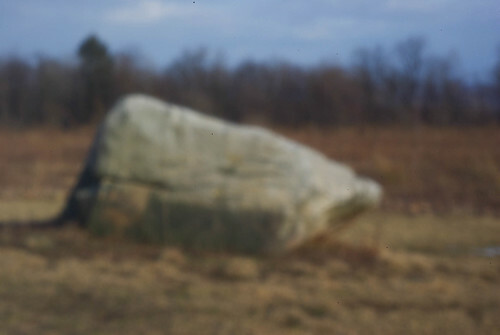 It's a lot easier to get relatively sharp pinhole images with a large format "sensor".